Photo by Brandon Macz: Kshama Sawant is running for a third term on the Seattle City Council, which would be her second term serving District 3. 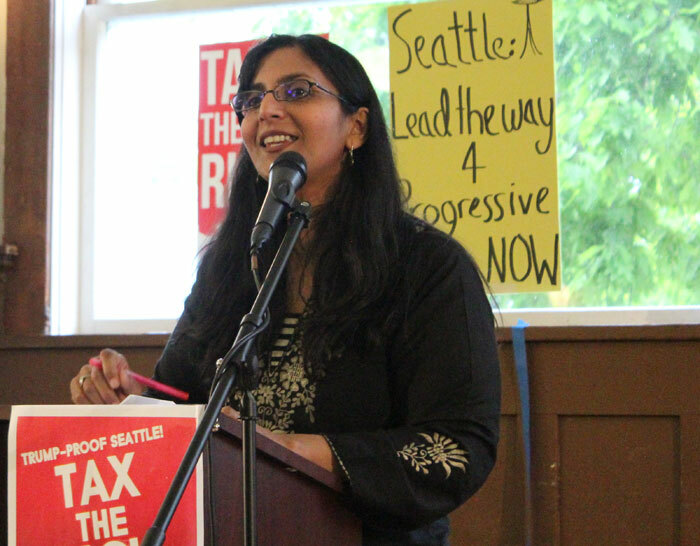 Seattle District 3 Councilmember Kshama Sawant is planning to formally announce her re-election campaign on Thursday. The two-term councilmember filed her committee registration earlier this month, after three challengers emerged late last year. Sawant plans to announce her campaign at 8:30 a.m. Thursday, Jan. 24, at Saba Ethiopian Restaurant, which is located on a lot in the Central District slated for redevelopment. Sawant pushed a petition last year to save the Ethiopian restaurant at 110 12th Ave., and campaign director Chris Gray confirms the owner will also speak during Thursday’s campaign event.